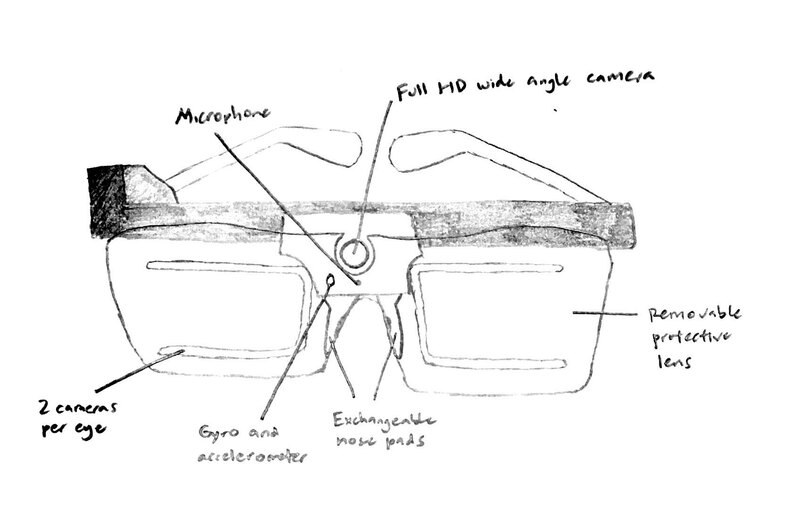 The Tobii Pro Glasses 2 is designed mainly for researchers who conduct field studies in their research of human behaviour. Tobii Pro Glasses 2 gives researchers deep and objective insights into human behaviour by showing exactly what a person is looking at in real time as they move freely in any real-world setting. Researchers can understand how people interact with their environment, what catches their attention, what drives their behaviour, and what influences their decision making. 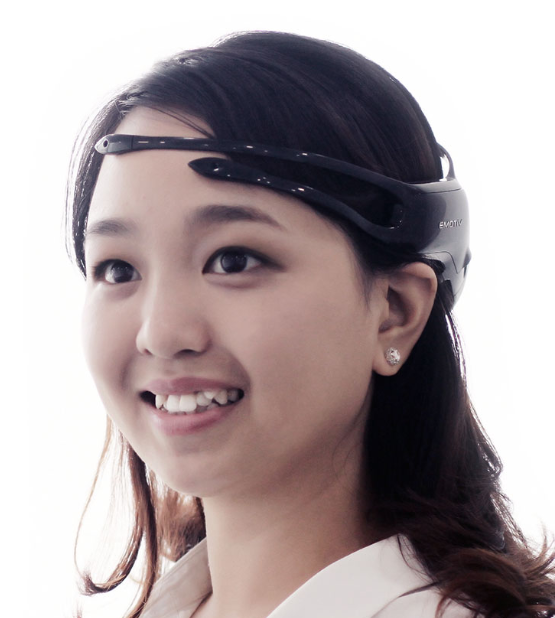 This wearable and mobile eye tracking system opens up entirely new opportunities for behavioural studies. With a unique first-person perspective and true measurement of visual attention and cognitive engagement, Tobii Pro Glasses 2 can be also used as a tool for training, skills transfer, and performance enhancement. 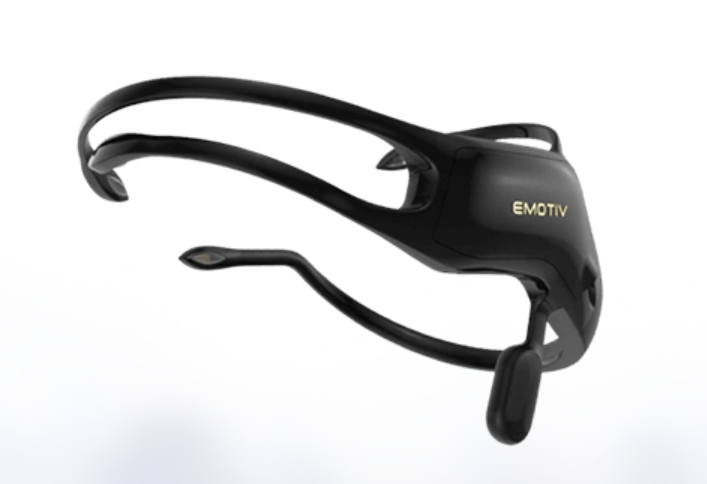 The real-time observation of participants’ gaze data provides quick and actionable insights. 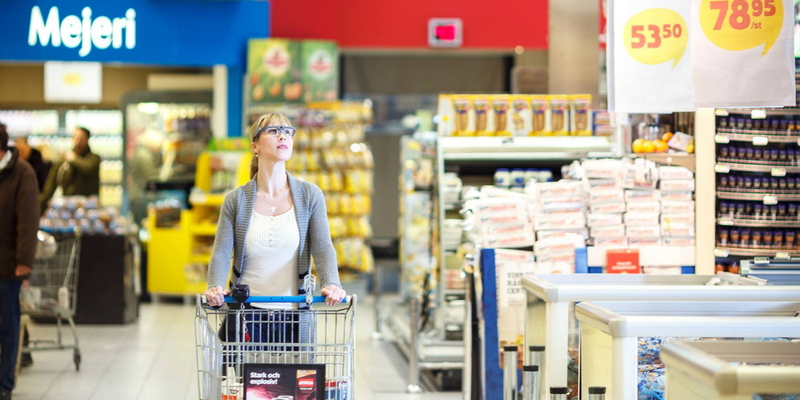 Whether the eye tracking study is conducted in a lab, shopping mall, manufacturing facility, home, or sports field, researchers can achieve accurate and reliable results in human behaviour research. The user-centric design and mobility of Tobii Pro Glasses 2 have resulted in an intuitive easy-to-use eye tracking system that allows users to focus on the data analysis and makes the data collection a simple quick exercise. Any user can get started with data collection easily without prior experience with the help of the system-guided procedures and a quick one-point calibration. In order to ensure maximum mobility during the study, the recording unit also allows for easy access to the SD card, sync port, and batteries. Tobii Pro Glasses 2 is indeed very useful for researchers as studies on human behaviour is no longer confined to just the labs. Nothing is more accurate than observing research subjects and their behaviours in their real, intimate environments. 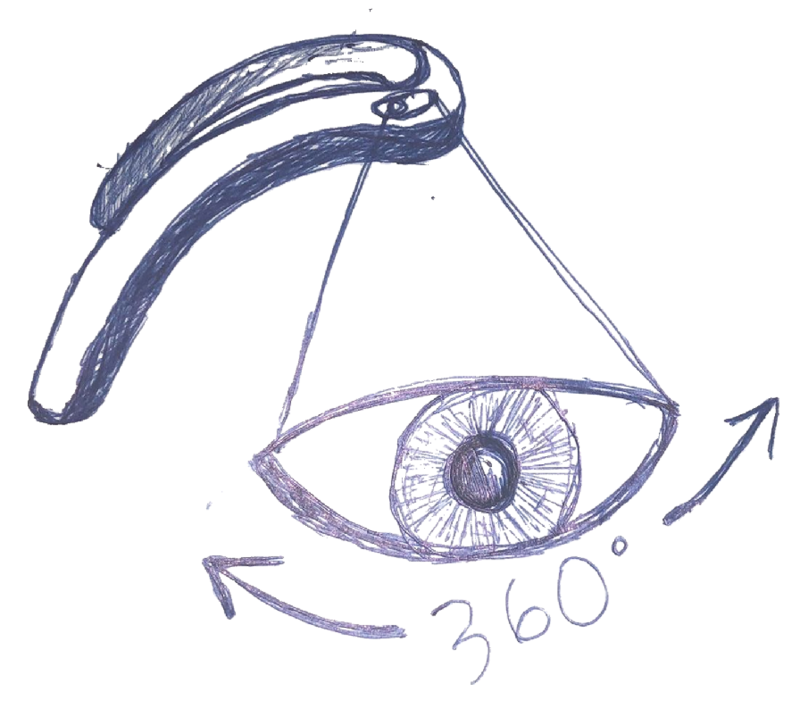 To add on, having a wearable eye tracking system opens up new areas of research that would not have been possible. Hence, I would say that the glasses has high utility. 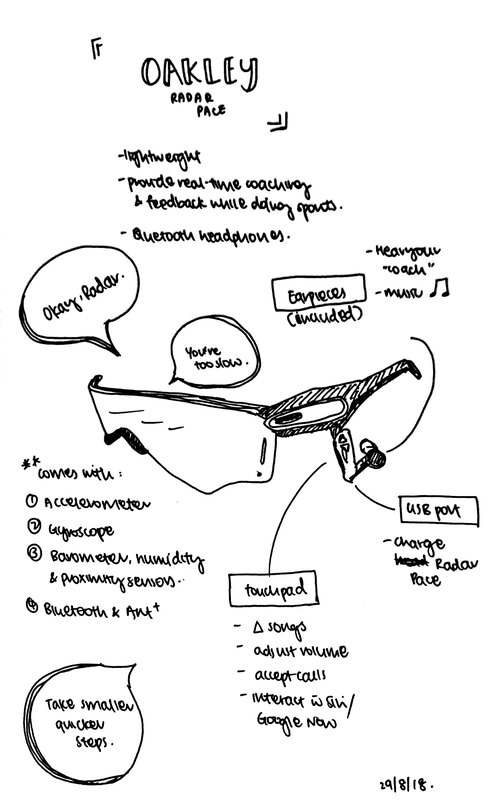 To add on, the glasses look futuristic and stylish, like a gear right out of a science fiction movie. It reminds me of Google glasses as well. I would say it is fashionable because I want to wear it. It is comforting that Tobii Pro Glasses 2 has achieved a great balance of utility and fashionability. The HC1 is not designed for a specific practice. It is designed for anyone who needs a mobile computer for the work environment. 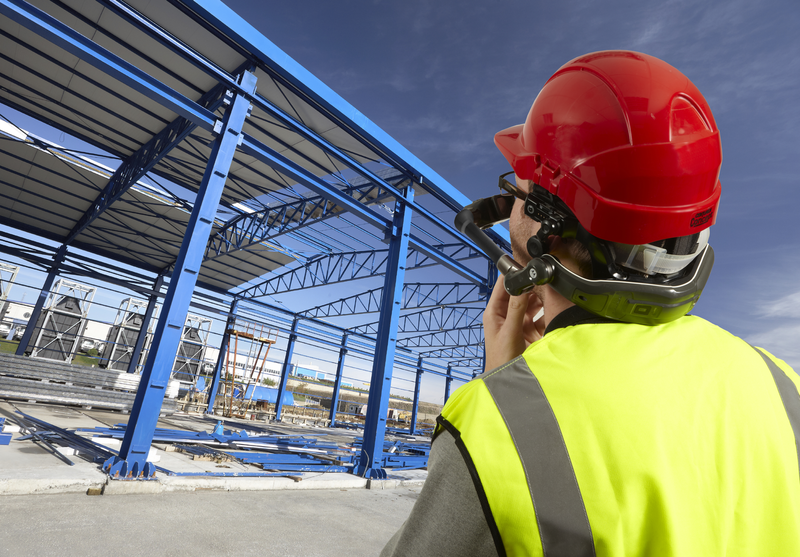 The HC1 is a unique wearable device: a fully rugged mobile computer for the work environment. Through an adjustable optical micro-display, it provides a view equivalent to a 15-inch laptop screen. This allows users access to critical documents, videos and photos, with information displayed just below their line of sight. Its purpose is made for workers who need big-screen device capability to view highly complex graphical data or schematics in work environments where carrying a laptop or tablet is not feasible, safe or convenient. The HC1 has great mobility because it was designed to address the mobility issue of a computer. 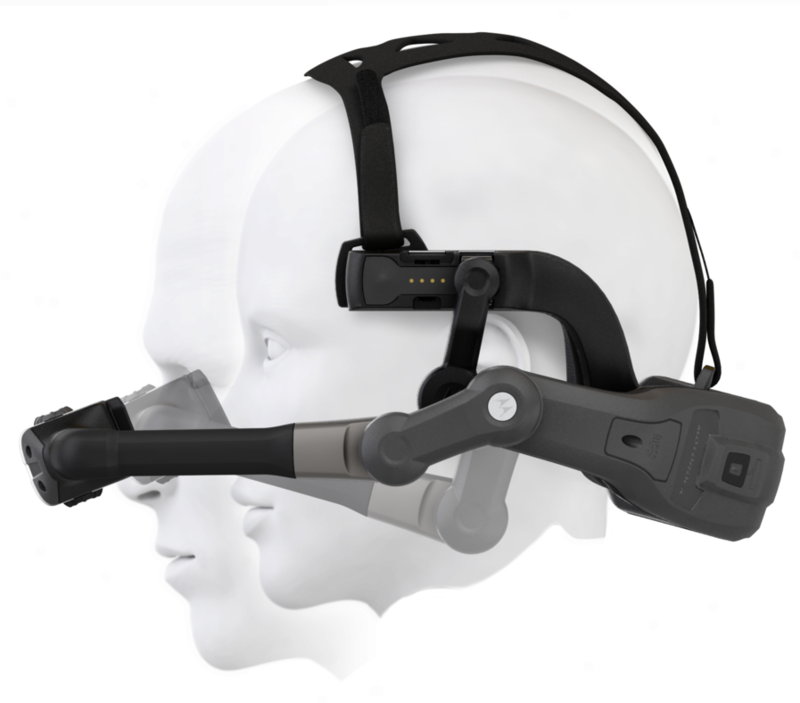 It is lightweight, and it has a strap that secures the device to a human head. Hence, anyone who has a head will be able to use the device anywhere and everywhere. 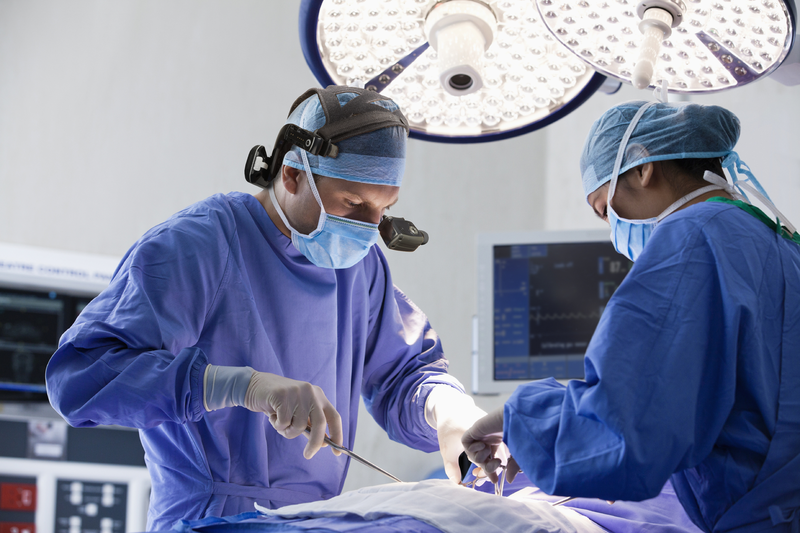 The HC1 has good utility as it can help a practitioner carry out his or her work more efficiently with a mobile, wearable computer. For example, a construction worker can view the blueprint on this device while doing his work in the field. However, I would say that the HC1 is lacking in terms of fashionability because it does not look cool. It looks kind of weird to have a thick black “arm” protruding from the side of your face. However, in work environments, who cares about fashion when you can complete your work more efficiently? The Wheelie Wrench tool is created for recreational and competitive bikers. This bike tool, approximately the size of a matchbox, comes separately from the All TimeBelt. It is made to enable riders to fix their bikes at anywhere and anytime. The tools are useful for adjusting the tyre rubber around the rim of the wheel, tightening of screws of different parts of the bike such as the handbrakes and fixing of the bottle holder and more. Due to its small size, the Wheelie Wrench bike tool can be easily carried around. It fits perfectly fine in pockets and is extremely mobile and convenient. 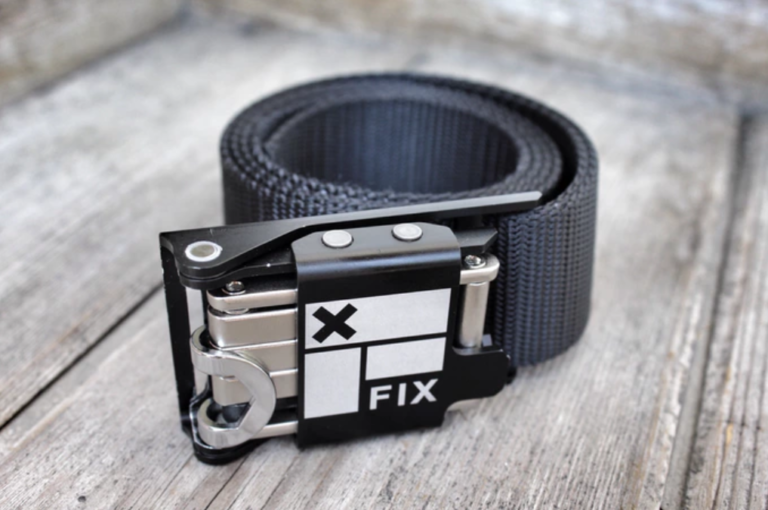 Fix Manufacturing also came out with a belt design that can be worn with this bike tool. This bike tool is extremely functional and is catered specially for bike riders with the specific essential tools to fix their bike. The company also designed tool sets that is catered for skaters and snowboarder, all of which differs in the attached tool set depending on what the various profession requires. Its matchstick box-like design made it look sleek and convenient. 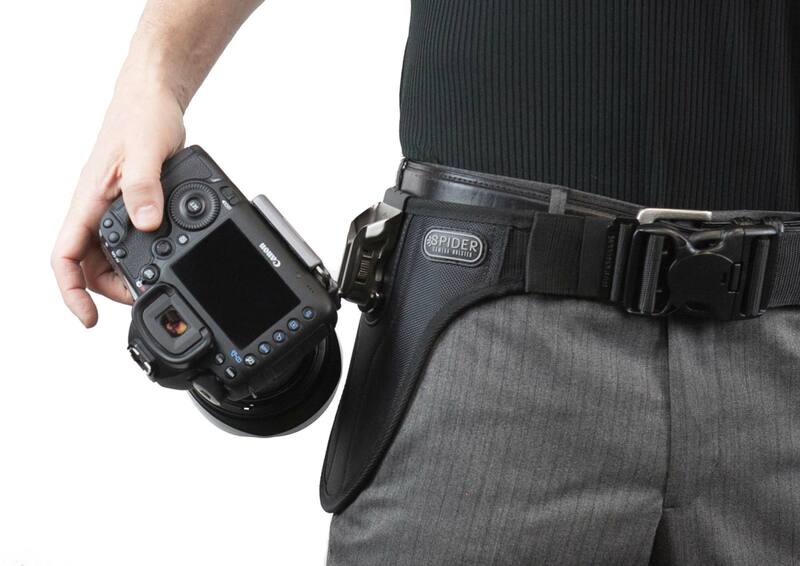 When paired with the All TimeBelt, the tool can instantly become a fashion statement. According the Fix Manufacturing, Its utility qualities are also further enhanced with the characteristic of being weatherproof. All the tools have undergone the saltwater corrosion testing that simulates the harshest condition. Also, it is highly durable due to its heat-treated steel alloy material. Hence, this bike tool can be highly usable and fashionable at the same time. The insole was actually a product that kick-started during a 5-year partnership with the US Navy with goal of optimising training. It can be used by athletes to keep track of their progress and to enhance the effectiveness of their training, especially if their profession requires leg movements. It is made up of a Bluetooth-enabled carbon fabric nanomaterial with conductive electrodes inside a protective insole. By measuring forces on the foot, users will be able to optimise fitness training, reduce the risk of injuries and provide more accurate results on the measurements stated above, which I would say is vital for most athletes and professions that requires the use of leg movements. It is highly mobile because athletes and users can track the data and records anytime and anywhere they go as the insole automatically sends data to a mobile app that GoX Studio had developed, during and after the exercise. It is also lightweight and can easily be switched when shoes are changed. With this there’s no need for athletes like runners to check their condition in a lab with laptop/computer and wires/patches attached. They can track their progress anytime they want with the app, even during training. It is highly usable due to its accuracy. It is confirmed by the U.S. Army that the SmartRun insole is 11.7 times more accurate than leading consumer fitness trackers for calories burned and its data actually nearly matches the result of the clinical standards for measuring metabolism, calories burned, and ground floor impact. Fashion-wise, I would say it is not a big factor as it is hidden inside the shoes. But overall, it has a cool and professional look to it with the gold coloured cover and black outline. 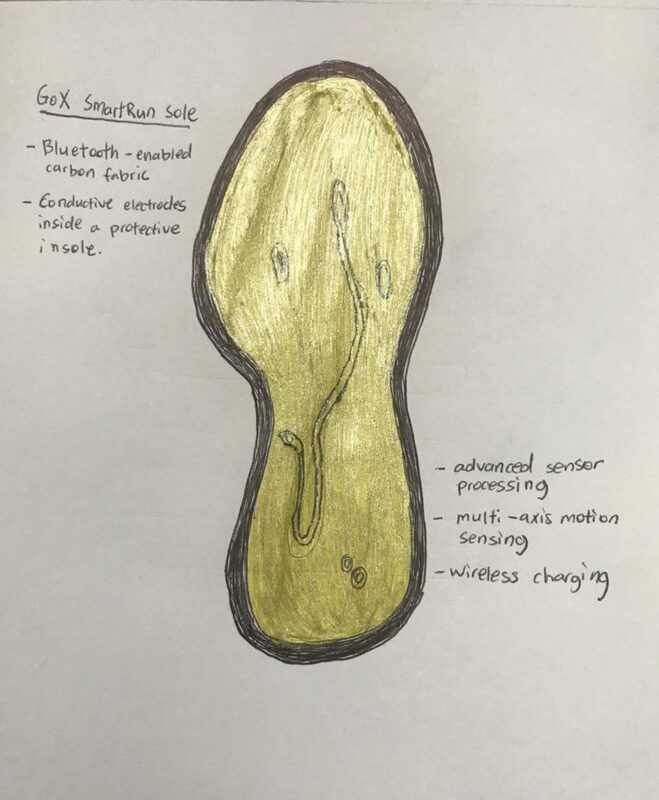 Most importantly, it is said to be highly comfortable and users will not be able to feel the GoX SmartRun when they walk or run. In a world that already values any and all forms of content sharing, it’s no surprise that the tech and video industry is moving in the direction of VR and AR experiences that can more closely mimic real experiences. 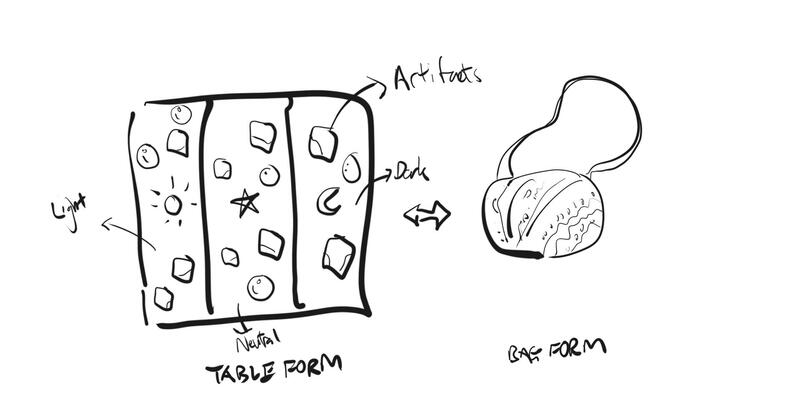 Wearable devices and concepts for VR are seemingly everywhere, but what I think will truly be revolutionary is finding a way for users to control their own production of VR content. That’s where this wearable 360° camera will come in; the FIT360 is a device that sits around the user’s neck and records the surrounding environment from their own perspective. What better way to share experience than to show everyone exactly what you see in 360? The essential use of this product is to capture video in 360° through a hands-free device that sits around the user’s neck. Videos can be shared live or after being captured, and provide users with the ability to share content without being limited by the constraints of a standard camera. The device itself is designed to be unobtrusive, and it rests around the user’s neck similarly to the way large headphones would. It doesn’t look particularly comfortable and looks quite chunky, but reviews are still relatively positive. People indicate that the design gently hugs the neck in such a way that helps keep the device in place. Long hair has to be put up so as to not be in the way, but for the purpose it is intended for — recording an environment upon desire, it works well. The wearable camera is hands free, so it’s more convenient to use than existing 360° camera solutions while being active or doing other things. 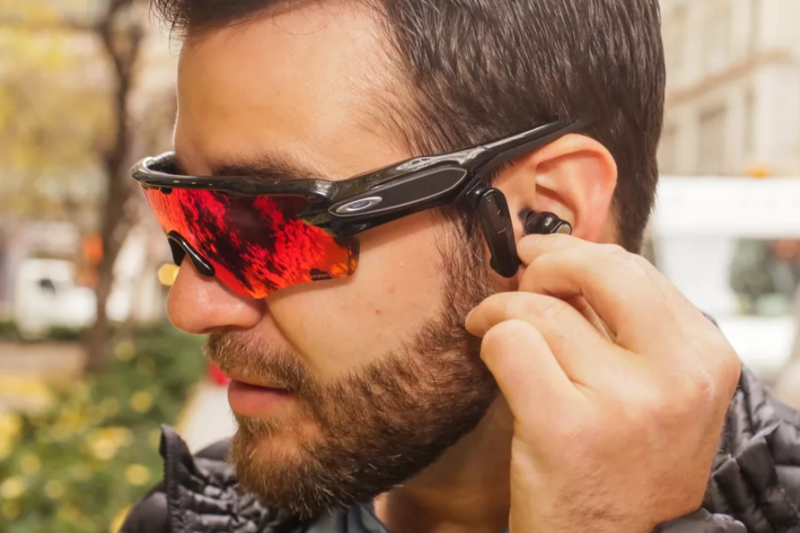 It looks similar to other styles of wrap around earphones and headphones, so it doesn’t look completely out of the ordinary for users to wear. 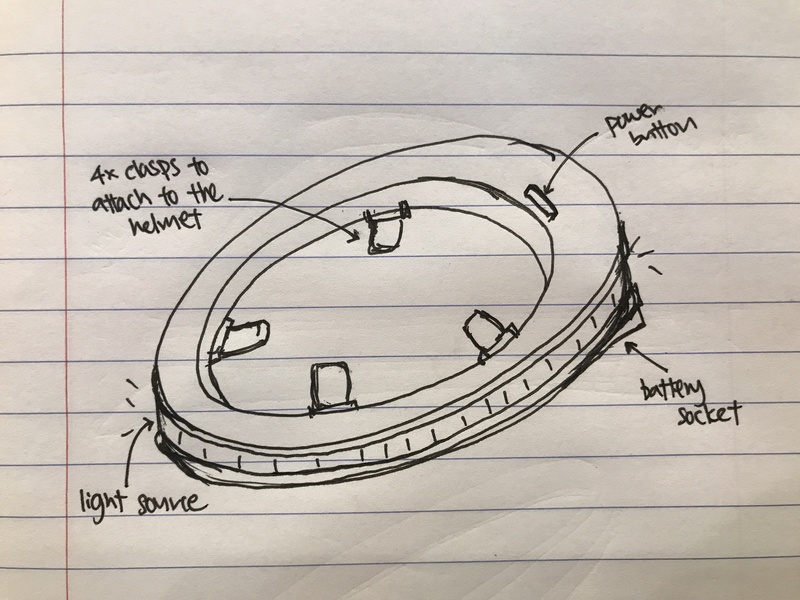 It isn’t a device that is envisioned to wear every day, rather it’s meant for recording specific experiences where users would otherwise bring standard cameras or existing 360 camera solutions (tourism, exploring, social events). 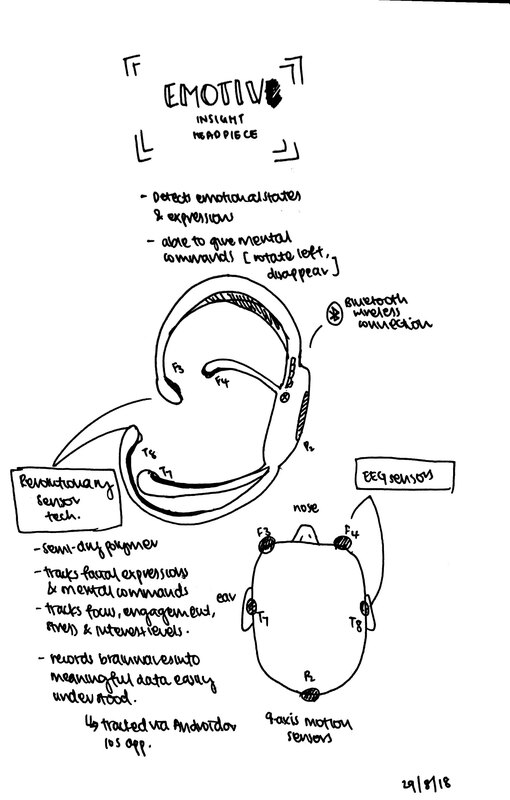 Ultimately, the wearable device benefits users in regards to utility since it is a more convenient solution than other existing 360° cameras, and it serves users in regards to fashion because it doesn’t particularly stand out in regards to existing design styles. 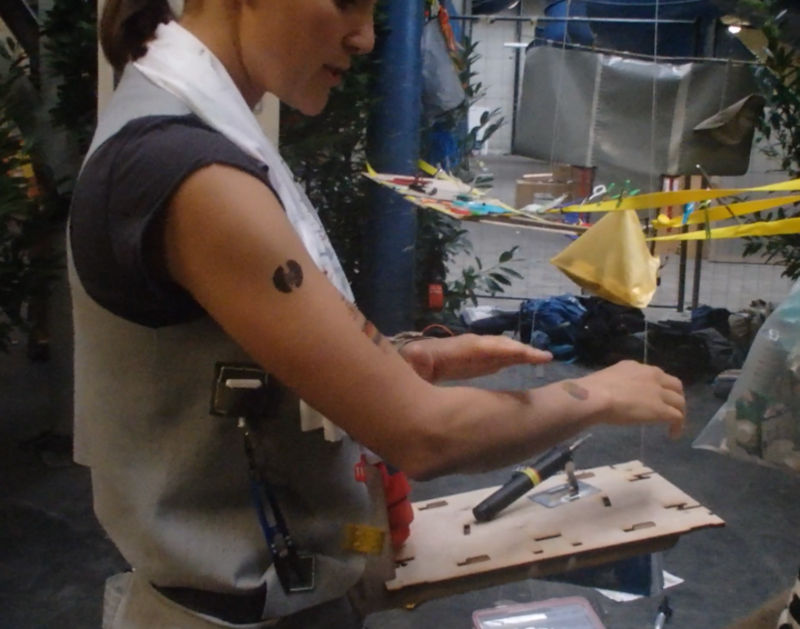 I was really interested to see what kind of creative wearable technologies had been created during a time when technology simply meant having tools. 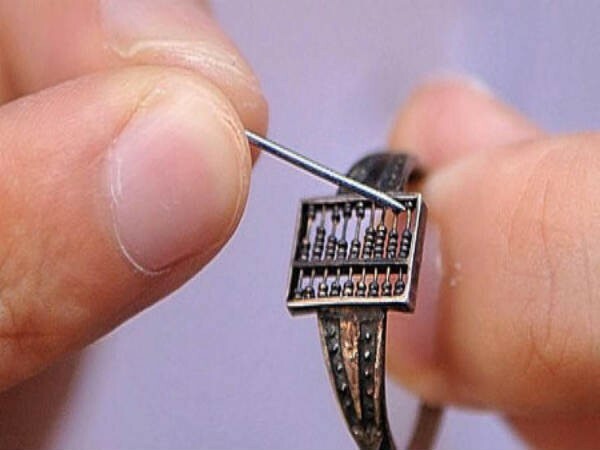 I discovered “The Abacus Ring”, which was created around 1600’s. Evidently, it is a small version of an abacus, a calculating tool. However, it is made very portable in that it is very small, and can be worn on a person’s finger. The Abacus Ring was apparently made in the Qing Dynasty, the last imperial dynasty of China. The use of this wearable technology is to help people, presumably mathematicians, make calculations or count on the go. The small spheres are miniature versions of the larger sized abacus, and can be shifted using a metal toothpick or similar object. Normal sized abacuses are significantly larger and more heavy than this ring, which makes them difficult to carry or use on the go. 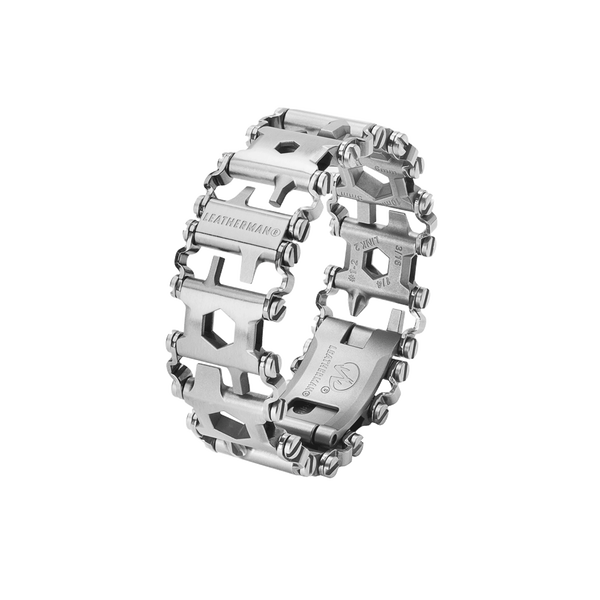 This ring brings together all the value of an abacus, but allows users to wear what they need on their finger to be used anywhere they need. 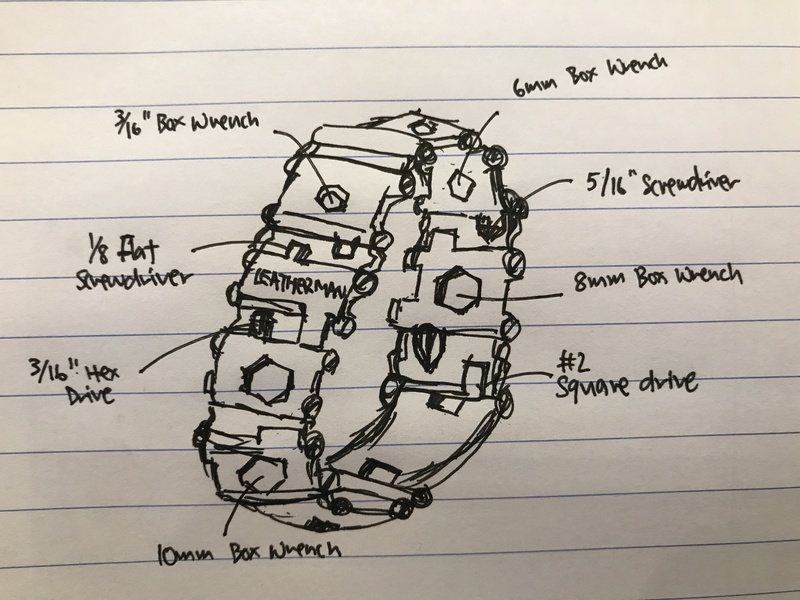 The elements are significantly smaller and evidently much lighter, so this wearable is extremely mobile as it can be held seemingly without issue on someone’s finger. 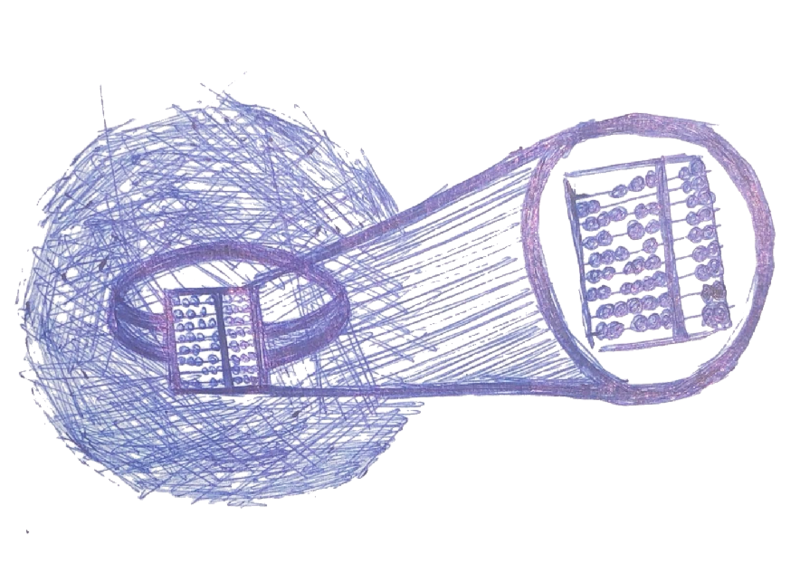 In regards to utility, this wearable must be considered within the context of its time. Nowadays, we have automatic calculators and a written numeral system that renders the need for an abacus entirely useless. However, in the 1600s an abacus was likely very convenient to have for people dealing with numbers on a daily basis. This ring would have possibly provided such people with increased utility in that it would have been less difficult to carry around. However, it could have also created more problems in that it was so small that in a stationary environment it would have been more tedious to try and control the minuscule metal pieces. 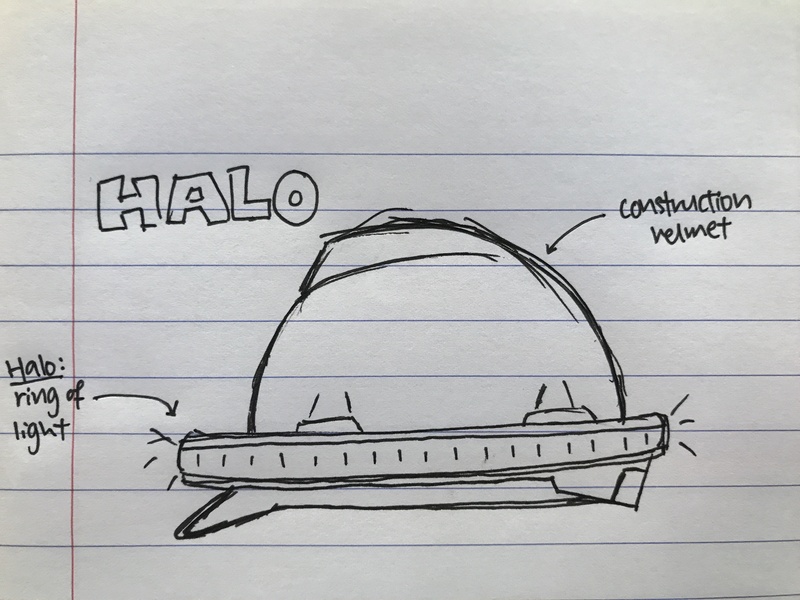 In regards to fashionability, the ring is designed much like other ring styles are and would have fit in at the time as a metal accessory. These durable plastic rings work with an application to turn any surface into a soundboard on-the-go. The sensor at the bottom of the rings detect the color of the surface it has been tapped on and allows you to assign a sound (on the application) to it. 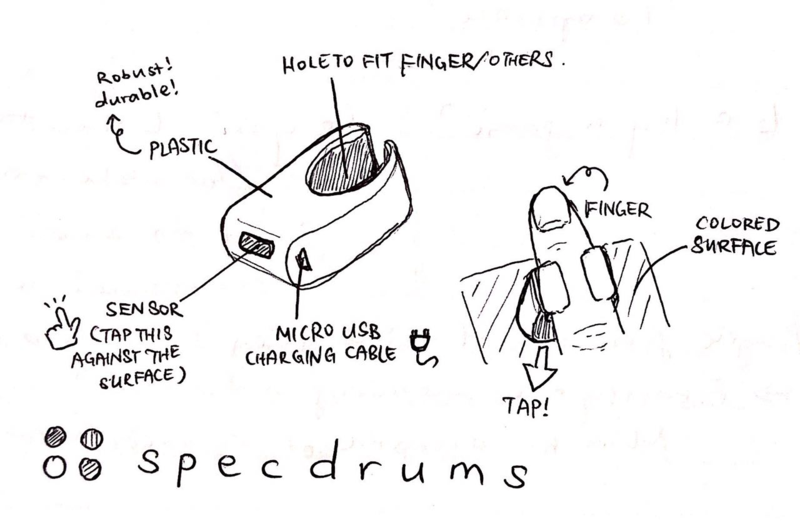 The application can register up to 10 rings at a time (full two hands! you can play the piano!). The rings can also be attached to things other than your fingers. For example, toes or drum sticks (e.g. to create a makeshift drumset) can work as well. It would suit music producers on the go as a portable MIDI device; but it can also be used for many situations like music education – especially suitable for beginners and children. The company also has an open source code for the application online so it can be modified into many things as well. One suggestion from the company that I thought was extremely useful was in guiding colorblind individuals. Extremely mobile since they are small, portable, lightweight and robust. They also come with a micro-USB charging port, which is a wire that is very commonly used by other devices like Android phones. The company has kept the design very simplistic so that nothing gets in the way when in use. The default color for sale stated by the company is black, however they have used many different colors in their demos and are apparently intending to release those for sale as well eventually. I also liked that the edges of the ring are curved, making it look more ‘friendly’. These smart socks are fitted with textile sensors that record data runners might want to pay attention to: such as a step counter, speed, calories burnt and speed. Interestingly, it also is able to identify patterns in movement that might cause problems like sport-related injury due to incorrect running form. These socks are catered to the serious runner (professionals) but I can see it being used in situations such as physiotherapy since it helps keep a keen eye on the specific muscle movements and other factors that might influence the therapy. Due to the nature of the textile sensors that they use for these fitness socks, the sock looks and feels almost exactly like a normal sock. Hence, they are indeed very form fitting and mobile. Perhaps the only thing that might get in the way would be the anklet as it is slightly bulging and is positioned at the ankle – where there would be a bend. 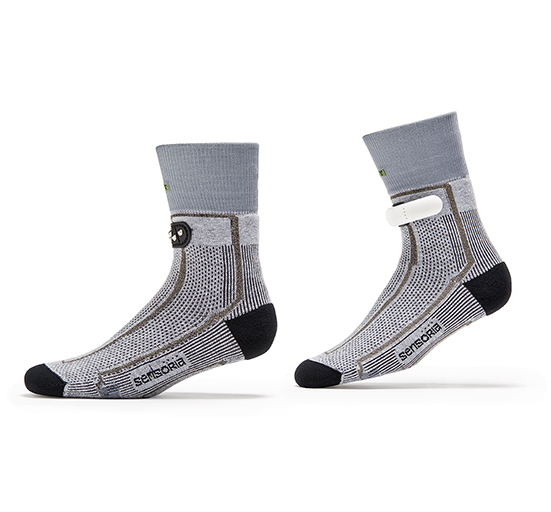 As mentioned in the previous point, these socks do not have any unnecessarily bulky parts and are designed in a chic grey ribbed fabric (typical of sports socks). The anklet is also very minimalistic in pure white. 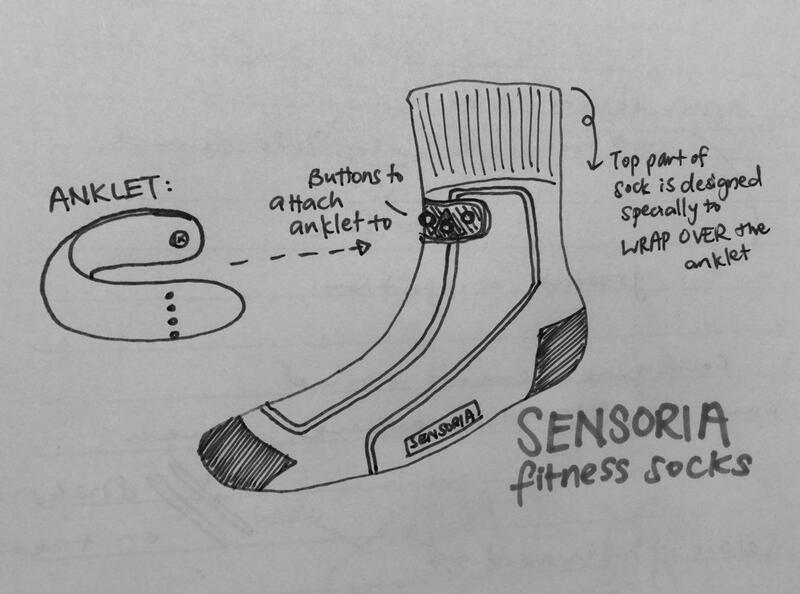 Sensoria even includes a possibility of covering the anklet by folding the sock over it – further increasing the appearance of the smart sock. This is all done while not compromising the effectiveness of the product itself. They transfer the ‘bulky’ things like screen displays, etc, by bluetooth transferring it to a mobile application that will display all the data from your smart phone. Wingsuit flying is the sport of flying through the air using a wingsuit which adds surface area to the human body to enable a significant increase in lift. 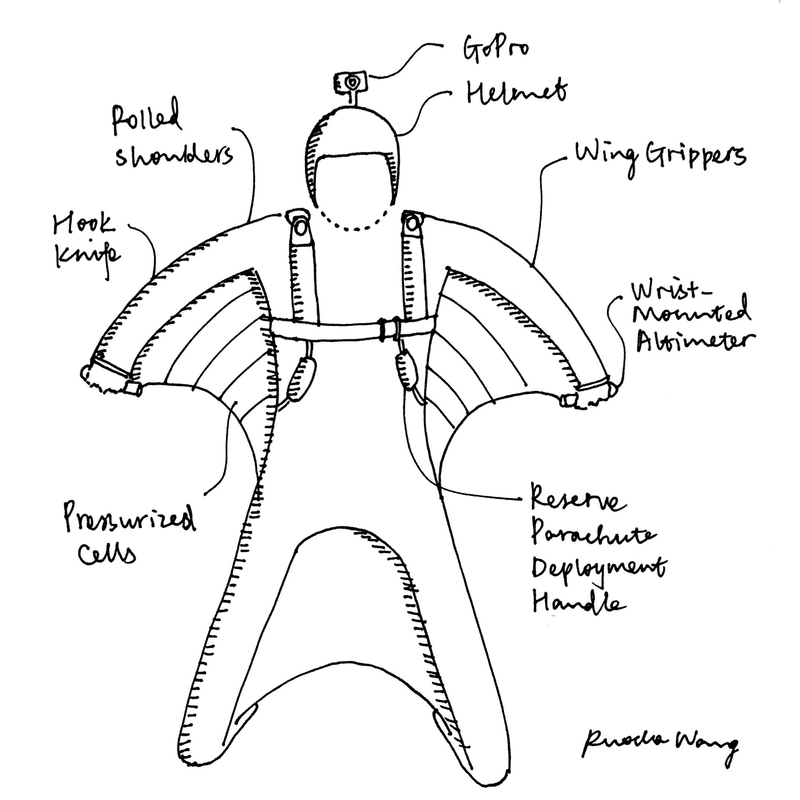 The modern wingsuit, first developed in the late 1990s, creates a surface area with fabric between the legs and under the arms . It allows the user to “fly” in the air after jumping from the aircraft and before deploying a parachute. 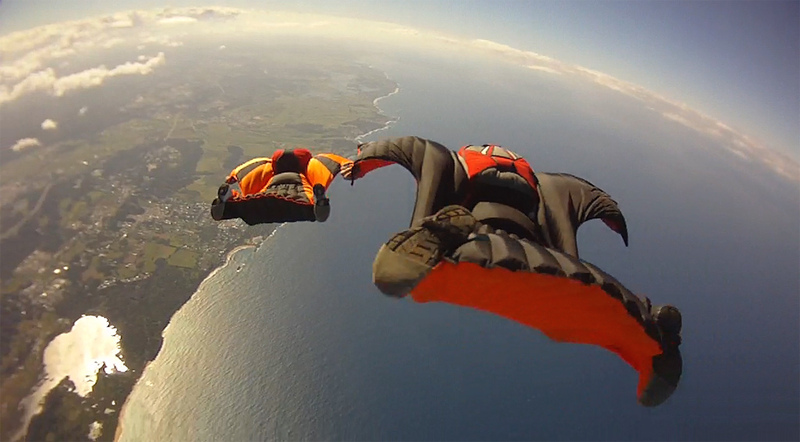 With most parts made with fabric, the wingsuit does not constrain body movements very much. 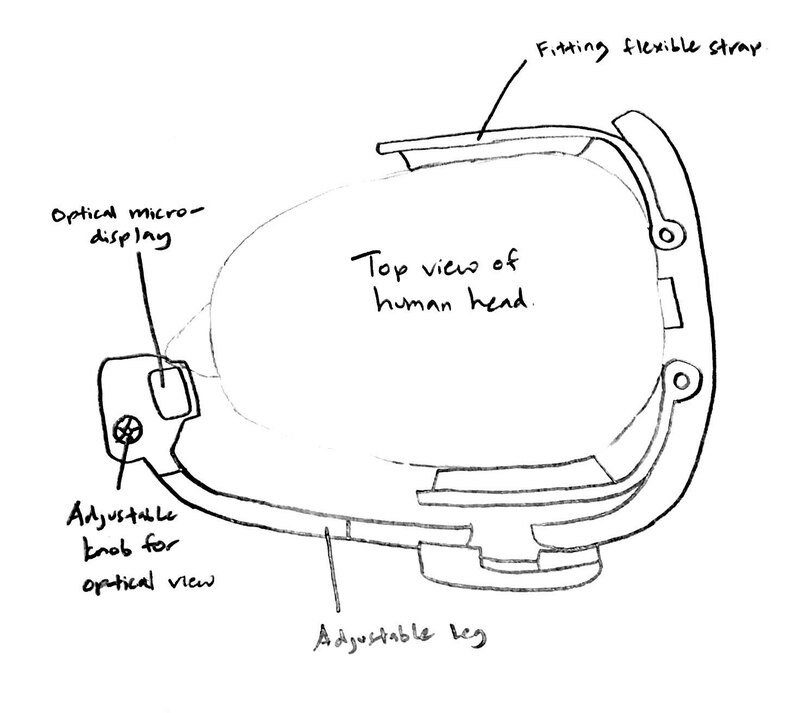 It even facilitates the “flying” posture of the user. We can’t stress utility enough, as wingsuit flying is considered an extreme sport. If we look at available products in the market, they are mostly made of thick fabric in plain color, without patterns or excess accessories. Fashionability is different from normal clothing. 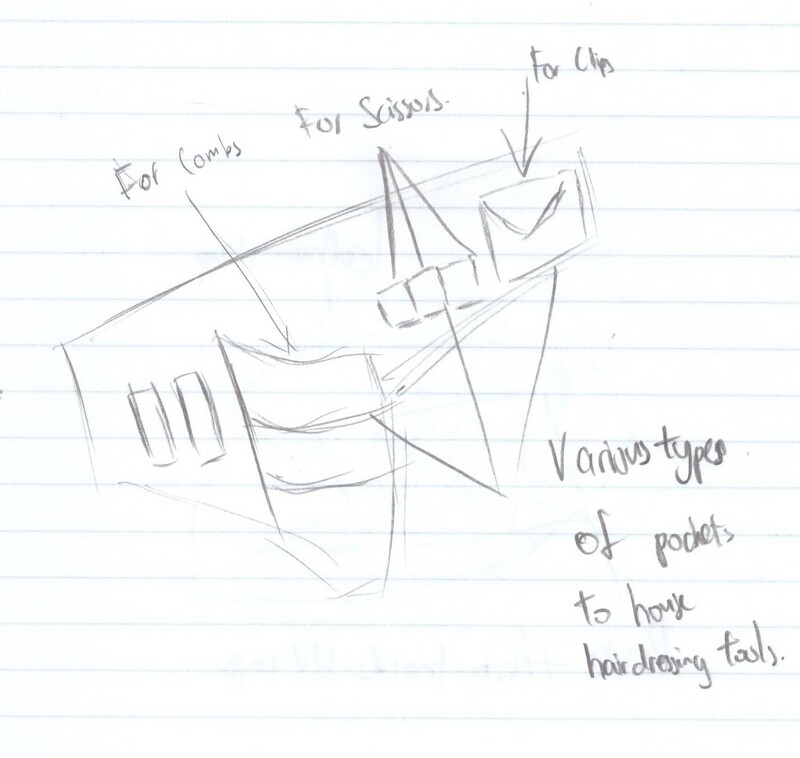 What considered fashionable for a wingsuit might be thick stitches and small shiny metal parts. Hood is designed for music artists. It is about “building a way of making music that also involves self-expression”. 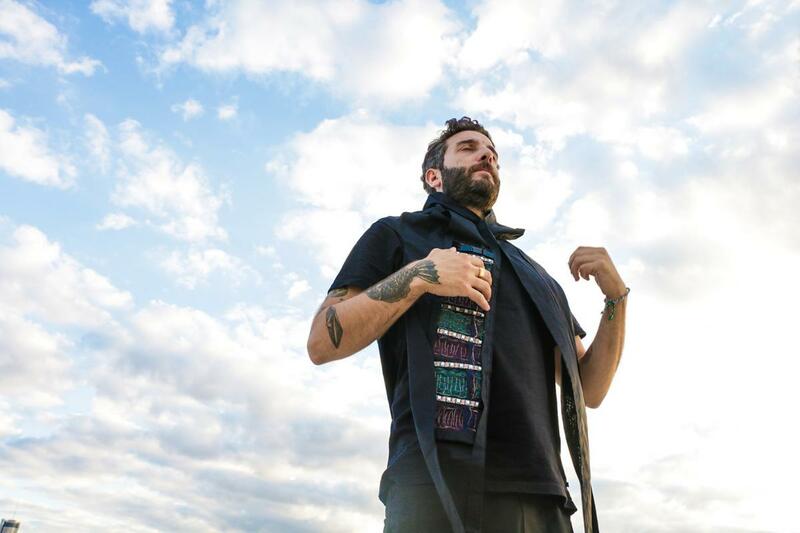 The artist plays music by touching the soft keyboard on his right chest. It could take a while to learn, but once the artist masters the new instrument, it becomes part of his body and helps him express himself. Hood consists of soft sensors, portable processor, a communication module, and breathable light fabric. The artist can easily carry it on the body without extra effort. Hood is made for music performance. The shape of Hood a strip that crosses the neck and hangs on both sides of the body. The donning (wearing on) and doffing (taking off) process are simple and fast. The LED lights provide feedback to the artist and the audience. What considered fashionable for art performance here is what enhances the expression of individuality of the artist. Hood certainly does well. As the name suggest, the purpose of the belt is to keep all the tools the hairdresser needs in place and use them as and when it is needed. 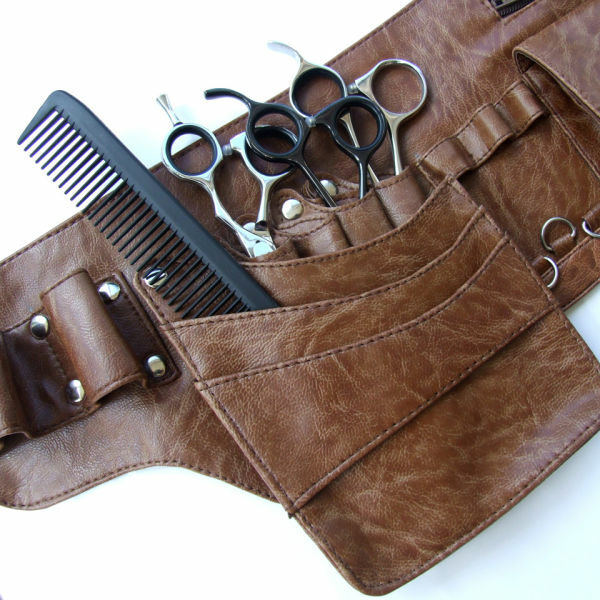 The belt allows the hairdresser to store all sorts of hairstyling tools which normally compromises of various types of scissors and combs. This helps the hairdresser save time in finding the necessary tools needed during a haircut and smoothen the process. As it is strapped usually by the side of the waist, it does not really obstruct movement in any form or way. However, if there is a huge number of hairdressing tools strapped to the side, it may obstruct some movement. It is a very convenient tool as the hairdressers can change hairdressing tools without moving around to get another. Also these belts generally do not have a fixed number of pockets and can be customizable to fit the hairdresser needs. 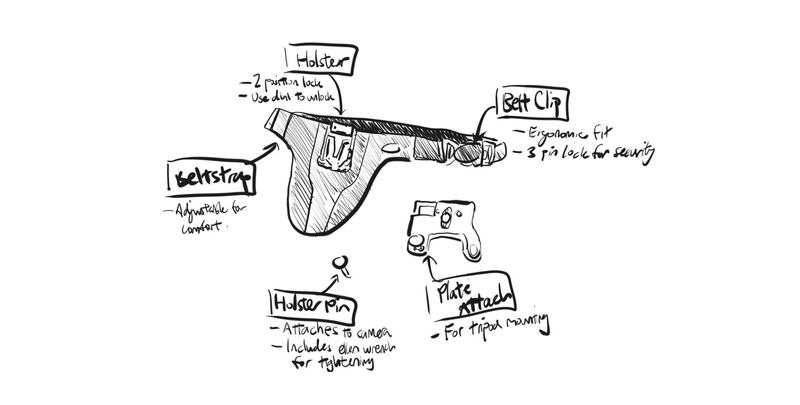 In terms of design, it does not stand out much but the belt allows people to identify the user as a hairdresser. The device was suggested for gardeners however it could be used by anyone who does not want to get sunburnt. The device tracks the user’s exposure to the sun and alerts the user when they have exceeded the recommended amount of sun exposure. It is simply a wrist bracelet with a device and does not obstruct any form of movement. The aesthetics of June resembles any ordinary hand accessory. 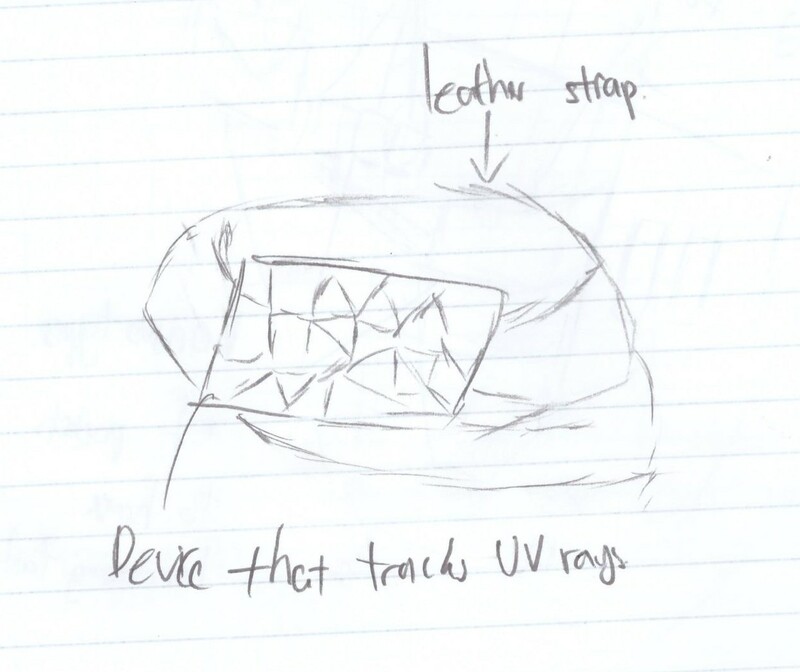 Perhaps the purpose of the device is to track sun exposure and at the same time look fashionable. 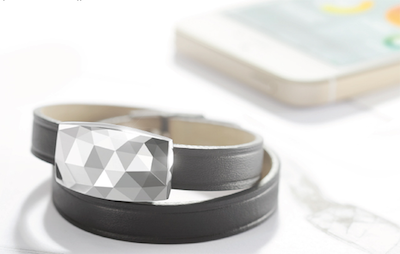 The device does not stand out as a tracking device and could be used just simply for fashion. The magnetic wristband isn’t limited to one practice alone, and is most commonly made use of by plumbers, mechanics, auto repairmen and any other professional who often deals with small metal tools. 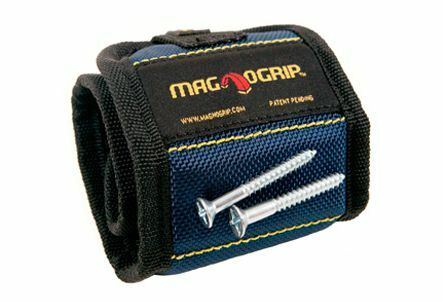 The magnetic wristband is meant for holding small metal tools like screws and bolts around the wrist of the user, which is especially useful during handy activities. The sturdier and better quality ones can even hold heavier tools like small screwdrivers. The wristband is very mobile as it is strapped around the wrist of the user, and does not hinder the user’s movement in any way. 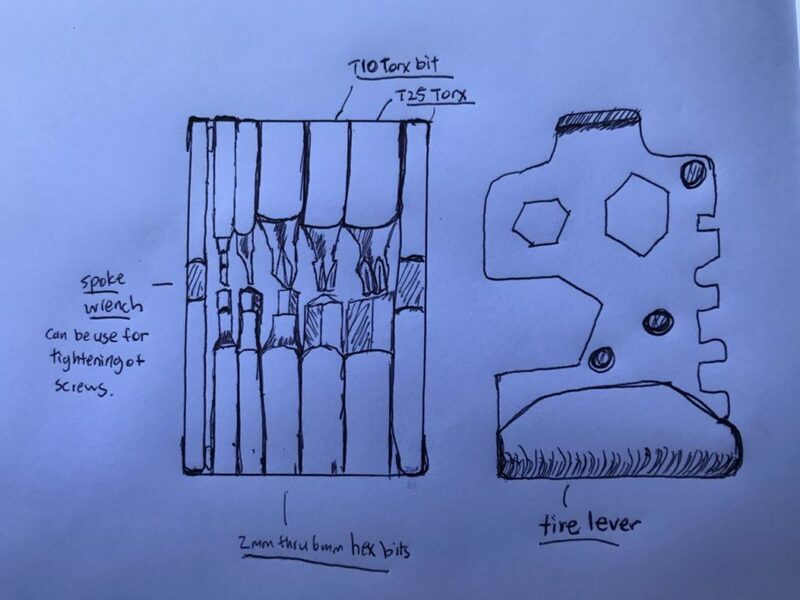 The wearable tool is very functional, keeping all the metal bits in one place and prevents the user from misplacing them, especially since they are so small and can be easily lost. The fact that the wristband is attached to the wrist also keeps the users’ hands free and allows them to make use of both hands without having to hold on to anything. 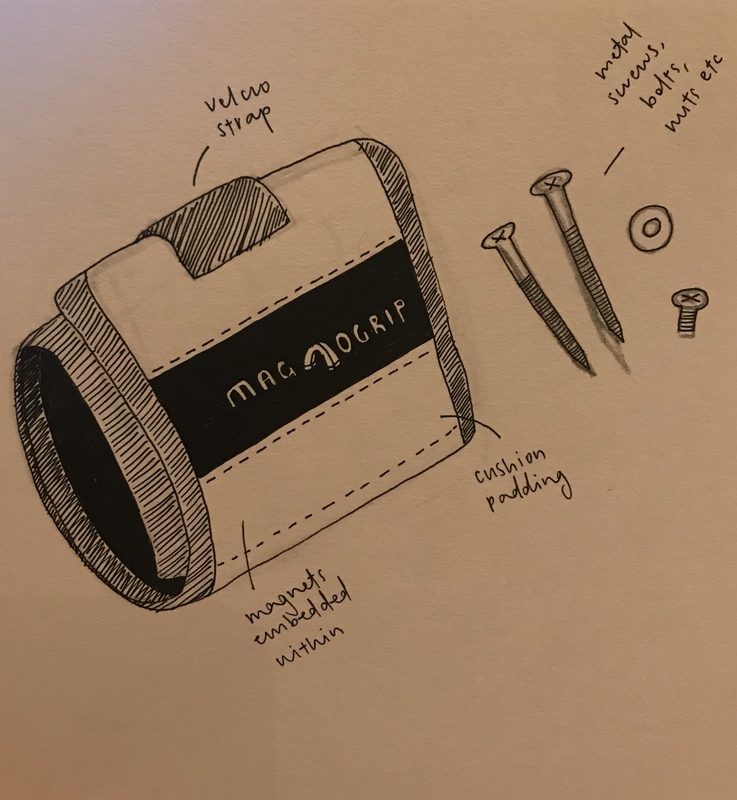 The wristband should also be quite comfortable due to the padding that is present, and is made from a nice mesh material, meaning that it wouldn’t cause the user to perspire much. However, one issue could be that the nails are exposed and can be easily knocked off should the user not be careful enough. The wristband should not be much of a fashion faux pas and can be easily passed off for a sport accessory or something similar. The suit is for underwater researchers. The suit is also dubbed a wearable submarine, allowing divers to explore deep (1000 feet) into oceans for long periods of time. 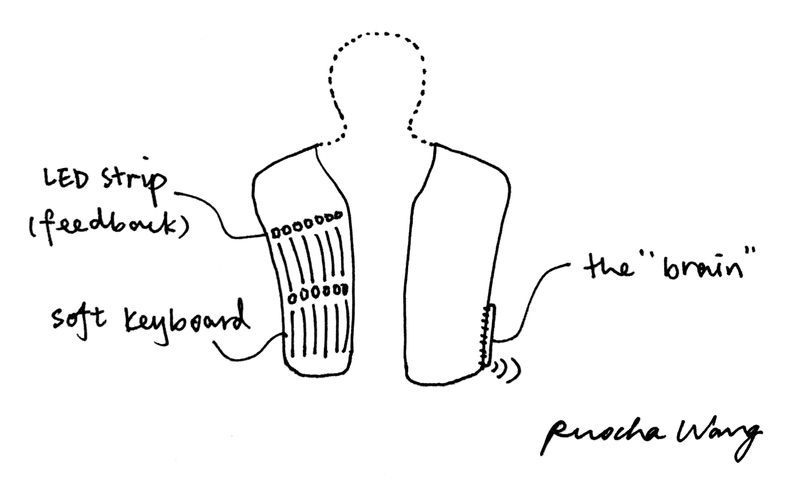 The suit is rather mobile, with 18 joints, allowing relatively natural movement for its user. The suit is described as “a fully-certified submarine in the shape of a human”. It also comes with underwater thrusters that can help boost the user around, improving the mobility of the user in that sense. 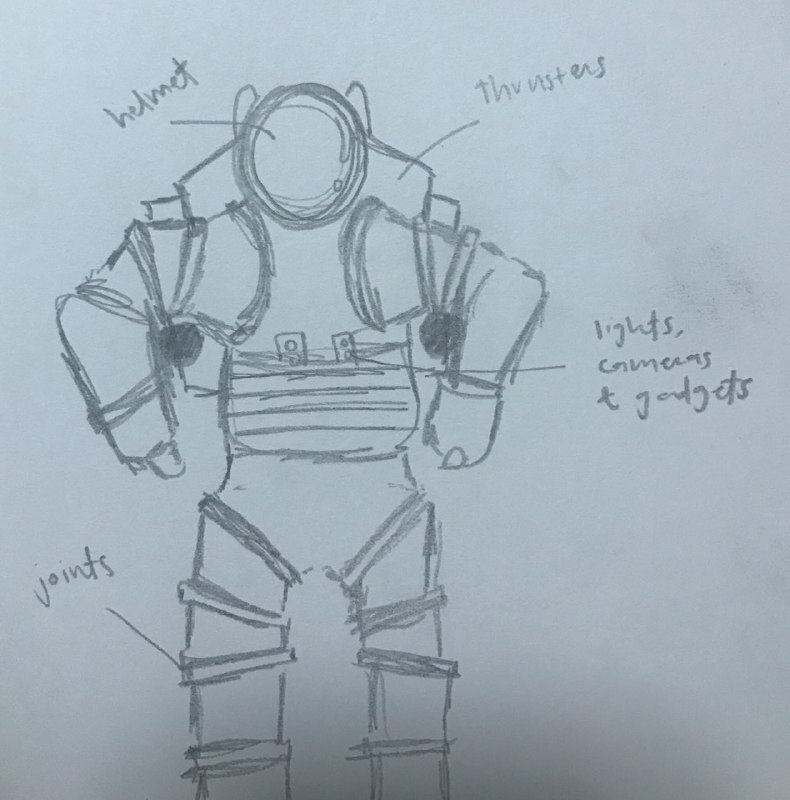 The suit allows divers deep sea exploration for longer period of time and is generally very practical as it comes with its own life support system and does not require its user to spend multiple days in a decompression chamber following the dive. The suit also allows the user to communicate with people out of water and has cameras to capture images of whatever is going on under the water that can be used for research purposes later on. It comes with claws that can help the user grab objects and cut things as well. 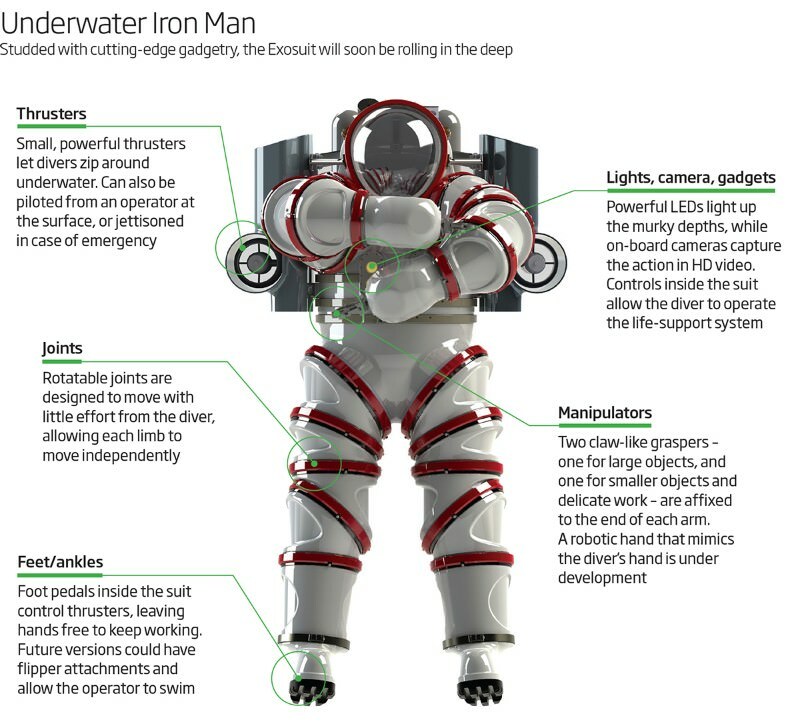 Basically all would be nice for a diver to have underwater is now built into this suit and is made easily accessible. Fashion-wise, it may not be the most ideal on land and would not be very useful either, with it probably being quite heavy.